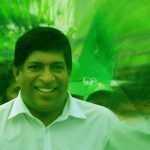 Former Minister of Finance and Deputy Leader of the United National Party (UNP) Ravi Karunanayake accused President Maithripala Sirisena of being selective and presenting ‘only part of the report’ submitted by the Presidential Commission of Inquiry (CoI) into the Central Bank bond issue scandal. Karunanayake told the media that he had sought a copy of the CoI report to no avail and that he had therefore been forced to invoke the Right to Information Act in calling the Presidential Secretariat to release the document for his perusal. Ravi Karunayake is a Two time Money Launderer who escaped because they changed the Laws.. IF the law enforcement is fair, IT is not the politicians, law enforcement should investigate how come Politicians are treated favourably every time. With respect to the politicians staying in the Prison hospital .IT definitely looks President is a lame duck president and he has no powers to fire any of these thieves. Ravi is just a thief even though he was appointed as the finance minister. This all shows the Performance and capability of PRIME MINISTER as the second important man in the country. His finance minister was a money launderer, took bribes, he has no rights to demand a copy for him. He should find it in the courts via LAwyers. Ranil also appointed CB governor and he accepted it was his fault. the question is why President is not firing him. Whether the president is a Lame duck president or there is something else going on which makes President also is in the same boots. How do you comment under Fake names, if you are Gentemanly you would use your real name. Goes to prove your Third Grade or in Sri Lankan terms “SAKILI” Calibre. Yes, neither of you have committed anything wrong. It is the gullible public who committed the wrong thing by electing you! He is quite good at shedding crocodile tears. The only thing I agree with the guy is to release the report in its entirety to the public in double quick time. In reality, while an arduous legal action against the guy is likely in operation, the Parliament should strip him of his Civic rights, following the precedent of the Thalgodapitiya Commission in the 1960’s. They say that while Jarapassa and Co had done all kinds of things there finger marks were not there to catch them. But this guy, his trousers simply fell. Quite Right….. It was Hon. Ravi Karunanayake who worked tirelessly to have the Golden Key Depositors paid back at least 41% of their Deposits. Yes Depositors of the Golden Key are ever grateful to Hon. Ravi Karunayake and have great doubts on the Genuineness of H.E. Maithrapala Sirisena who is in Office because of the Golden Key Depositors Vote. Noel D modaya: so you people are to lose if the Two Time Money Launderer Finance minister to lose the minister post. HE must go to jail. What is yours and Shirley Aphonso’s connection to RAVI THE LIAR. So that’s that; doesn’t it worth checking the percentage from balance 59% went to ..’s pocket. them from Middle Class and Upper Middle class families who sold their valuable, ancestral land and family silver to protect them from galloping inflation. Most of them chose to trust Kotelawala not to make big money – but to protect them and their children from steadily increasing Cost of Living. They were not income tax dodgers Kotelawala so unkindly charged at the latter stages. The spirit of the many innocents who died out of sheer worry and the tears of many parents and children whom Kotelawala ruined will haunt him for the rest of his days. He has ruined the much respected Kotelawala name by his thanna/ego. He still has sufficient assets to pay these poor people who were cheated by his foolishness. Even those depositors who succeeded in getting 41% were not paid their interest – all arriving at substantial sums. Many of them lost much of their capital in unfair deductions. This claim of having paid 41% of the deposits is a fraud. One can understand the Rajapakses not taking an interest in the matter because they are born rogues. Basil showed some interest in the beginning and the moment he found he could not rob the remaining money he quit. sufficient media coverage and transparency. inquiry , they can prove it next month by their votes . Its not only Anika Wije! Ravi Company staff gave evidence Rs 150 Mn in cash was deposited in Ravi safe. It was withdrawn to buy the apartment. President may have given the report to Ravi’s wife. Aney Pau…thottha baba! Somebody should give him a soopuwa at the next meeting so his statements of confusion will be more plausible. The audacity of this crook to think that we are all idiots like him, who cannot recognise a rogue when we see one! Does he think we cannot distinguish the bond scam from the bribes he has been taking from Aloysius? All sets of these political thugs should be sacked for ever . Bring young blood with honest and hardworking people . JVP is Only one who could do that. We know you RK. The dogs will bark but the caravans will go. The tree the bear fruits will get more stone pelted, We know that you, a good man as RW or Mr. Clean. they accused you of robbing CWE some years back. They are used to think that all bulls on the thrashing floor eat straw that is there or the person who as some honey in the palm lick the other side of the palm to. Carry on. You accused MR & Co. in this way and promised to punish them when you come to power but you could not find any tangible evidence. These are the Hazards of your profession, rather unfortunate. Wish good Luck. Only think of the Poor. Ravi K takes cover behind PM…..it’s common knowledge that Ranil is gay….but Ravi K? The history of the UNP in the past 25 years and because the UNP is a major party in this country it naturally impacts the country too, is the unholy career of a devious and pretentious life of one man-Ranil. 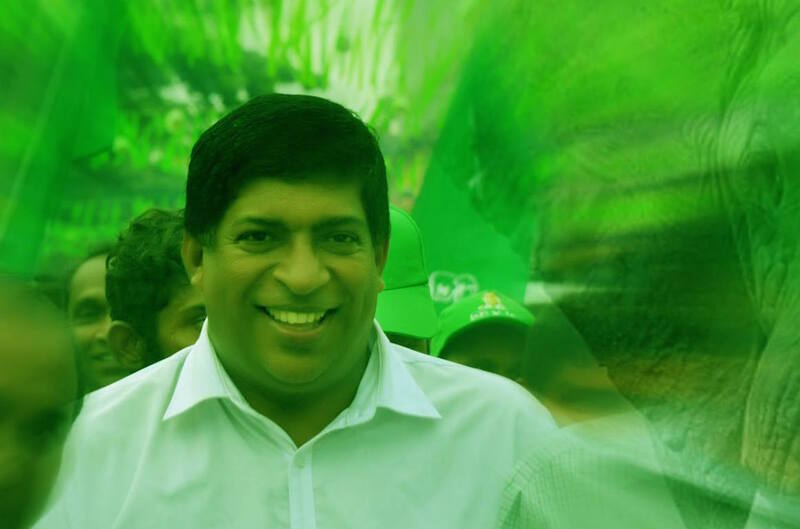 It is an adventure for this rascal to deceive the UNP rank and file and the nation. The UNP went on their knees to Sarath Fonseka and then to Sirisena because of Ranil who is not acceptable to the people( look at the way he dances ! even in a hot night the guy is wearing a suit ! as if he is in UK !). All the frauds, the SriLankan Airline, Bond scam is done by Ranil. Ranil s morals are -form a small team of expert spin doctors and shrewd rascals, tell lies, commit devious frauds BUT dont get caught, If you get caught keep denying because the Stupid Sri Lankans will soon forget or will think if he is a man from Colombo 7 and studied at Royal College his genes will make him honest ! Yes he knows how stupid this country really is . “Ravi K takes cover behind PM and targets the President”. Typical of any coward whose honesty is now being widely questioned. He must be able to understand that the credibility of GG govt., of which he is the head has lost & his personal grudge with JO may cause harm to the country & its people. Failure of the so called GG so far to substantiate charges levelled against former regime (of which he had also been a part for considerable period of time) is a serious fault. So for the president, it’s high time to weaken friendship with the UNP faction & strengthen it with JO. Yes of course both these characters are ‘ Ahinsaka Thotha Babala’ ( innocent infants who knows nothing !!). We, the Lankan silent majority want the President to release the report although none of us are named in I – not once. RV must get his copy tomorrow because we understand that his name appears in it. Ranil is a disgraceful individual. If this country is ever to proper he must be kicked out of politics. You want the full story ask my wife says RK. Well the court when through all the particulars and found you liable. How do you know that you did not commit any crime when you cannot remember anything? Well others remembered everything. So suddenly you now remember everything. You drink milk like a cat with the eyes closed and think others also cannot see like you. You say you cannot remember for each and every question that was asked, when others remembered and gave evidence and the courts came to a verdict that you are guilty. Well you missed your chance. Now you are shouting and seeking justice from the ignorant public. People don’t try you it is the courts that try you which they did and you were given a chance to defend and you sought to remain silent telling ‘can’t remember …. can’t remember’ and from the evidence of others (who of course could remember) and from the facts that was presented, you were found guilty. Now you suddenly seem to remember! People like you do politics and go to parliament just to get the cover, immunity and impunity to steal public money. Ordinary people just for petty crimes end up in jail. But people like you privileged to be a parliamentarian get away with anything. The court has ruled you are guilty and so accept the verdict and leave all your positions you hold. If this happens to a Government Servant he would have been sent on compulsory leave. He may appeal and only after clearing his name he be allowed to come back to his job. So you are now accepting what the Tamil diaspora’s claim and demand for foreign judges because the judges are corrupt? But in your case am sure even the foreign judges will find you guilty! Did you work at Delmage and went out canvassing business? Where were You living before becoming a MP? How much did you earn after becoming a MP/Minister? Where were your children educated? You are innocent until you are proved guilty which may take over 15 years and within this period so may things may happen which may prove you innocent and your’ bond.’ with the government may loosen. Din’t I remind you of the story of the SEVEN BLIND MEN trying to identify the ELEPHANT. Yesterday (10th) the First Blind Man – the PM tried to analyse that Elephant, the “Bond Report” and the rest of the “BLIND” got involved in a “Brawl” and in the mayhem there were exchange of fisticuffs. The “Leading “Blind Man” himself started crying slogans and directing his supporters to follow on. The only DIFFERENCE of the original story we were told was all the Blind Men were very peaceful and allowed to express each one’s analysis; whereas in this present story that unfolded yesterday, all BLIND MEN ended up in an exchange of fisticuffs. I only blame the Leading person- the President, who “Engineered” this mayhem over this “Bond Report”. He set the ball rolling by trying to analyse, (through a “Address to the Nation”) a report that contained over 1100 pages within a matter of 20 minutes and limiting it to a few 1000 words. What type of “Professionalism” is that by a President of a country? Then the Leaders of Political Parties :Rushing” to demand a “DEBATE” on the Report – the main document, they themselves haven’t even SEEN. Next the PM of the country starting to “Debate” on a Report, he himself had not obtained a copy. Over and above, the SPEAKER- the Head of the Parliament presiding on a “DEBATE” on a report that is not available to himself and not TABLED in the assembly he is presiding. All these people are not only BLIND but also BRAINLESS. Just try and PICTURE this scenario in you mind and judge for yourself to what LOW DEGRADING LEVELS this Assembly of Peoples’ Representatives have been brought down to. Do we need these type of REPRESENTATIVES in our Legislature? RAVI THE LAIR is not yet removed from the parliament. that shows how weak the laws are for Parliamentarians. that is why is has so many criminals, conmen and .fraudsters. IT is simply welikada and bogambara people running the country. Learn to spell, type or use the spell checker you delusional prick! “Ravi the…. is better than Mahinda, Basil, Gota axis of EVIL”. In India, there are laws called – Disproportionate Assets verification laws. Enforcement is quite strict. Jayalalitha, MGR, Kurunanidi and many others have been prosecuted under these regulations. Its very basic. Prove how you acquired assets that cannot be verified through past income. Imagine if we wake up one day and have a parliament that will REALLY pass such a law??? We only have declaration of assets….so all the relatives end up getting the assets written under their names. Remember Daisy Aunty? Maybe like in America, we should have a way public interest organisations can force changes to laws with enough signatures. This will really force a change in Sri Lankan politics in a few short years. Alright the country could have any number of good laws in this island who has the b***s to enforce them without political interference on suspected criminally minded politicians or/and their b***s carriers?